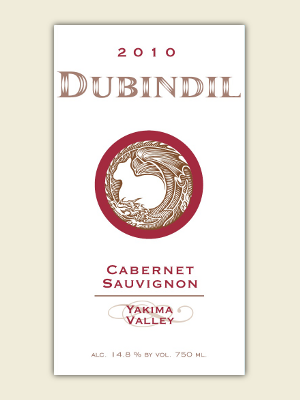 The Dubindil Winery 2010 Yakima Valley Cabernet Sauvignon is a perfect marriage between Cabernet Sauvignon and Malbec. The fantastic dusty tobacco and black pepper flavors blend perfectly with the plumb and juicy licorice influences of the Malbec. This marriage creates a wine that delights the classic Cab Sauv connoisseur and satisfies the Malbec lover. Pairing Notes: Without a doubt, this wine is fantastic with steaks, lamb, roasted chicken and even spicy Mexican dishes.